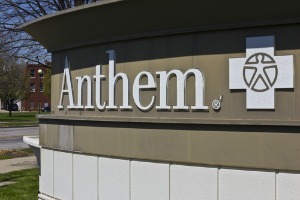 The second biggest health insurance company in the country, Anthem Blue Cross, recently proposed raising its rates, but after regulators in the state of California questioned their rationale for doing so, Anthem decided to reduce two of its planned premium increases for 2018. Premiums will be reduced by around $114 million according to state officials. One of the reasons Anthem was planning a premium increase was to counter future medical cost estimates, which included the predicted 30 percent increase in pharmacy expenses in the individual market. This prediction was double the estimates of two other large insurance companies and didn’t match national industry trends, which is why it was challenged by the California Department of Managed Health Care. Because their estimates were challenged, Anthem decided to reduce their insurance rate increase for the upcoming year by three percentage points for individuals and families. However, the increase in rates from this year to the next is still 37.3 percent, which is the second-highest increase among 11 insurers that participate in the Covered California exchange. They also reduced its planned rate increase for small businesses by almost 50 percent to only 2.5 percent. The Department of Managed Health Care and an elected insurance commissioner are the two insurance regulators in the state of California. While they can be effective in pressuring insurance companies to lower their rates, as evidenced by Anthem’s rate hike reductions, they do not have the authority to completely block rate increases. According to Anthem, they regularly work with regulators in order to revisit their estimates and rates when more data becomes available. Regulators that reviewed the company’s small-group rates revealed that Anthem updated their projection for medical spending, which is what resulted in their ability to reduce their planned premium increase. The insurance market can be a tricky one to follow, but fortunately, California keeps close track of insurers to make sure that consumers receive high-quality insurance at fair rates. For more health insurance news and updates, be sure to keep up with The Benefits Store.